The weather is warming up and summer is around the corner, so it’s definitely time to start shopping for a new pair of swim trunks. Our friends at Tommy Bahama sent us a stylish and unique pair with the Hybrid of Paradise 11″ Swim Trunks. They’re unique because you can wear them as swim trunks or regular shorts. They look like a cross between regular clothe shorts and a bathing suit, but the cotton/polyester blended material is very comfortable while also being appropriate for the water. All of the interior pockets are mesh like you would find in a bathing suit, but it has the standard external pockets you would expect from a pair of cargo shorts. The only surprise is that it doesn’t have the mesh underwear portion you would expect from a bathing suit, so that makes them look even more like shorts along with the zipper in the front. 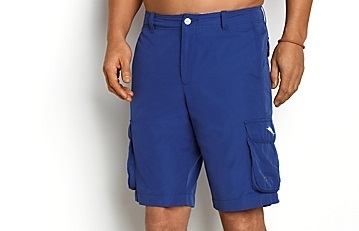 The shorts also come in a wide variety of colors. We liked the royal blue pair we had with the yellow logo on the side. With the quick dry fabric these shorts are perfect for boating and beach outings, particularly when you’ll be going back and forth between the water and the bar! Check out Tommy Bahama for this hybrid option along with a wide variety of tradition swimwear, along with newer styles that have a shorter inseam as well. And with Father’s Day around the corner these and other items can offer great gift ideas as well. We checked out the new Asia belt from MAONO.com, a company that is on a mission to create beautiful, high-quality clothing and then selling online to remove the middle man and make their products more affordable. 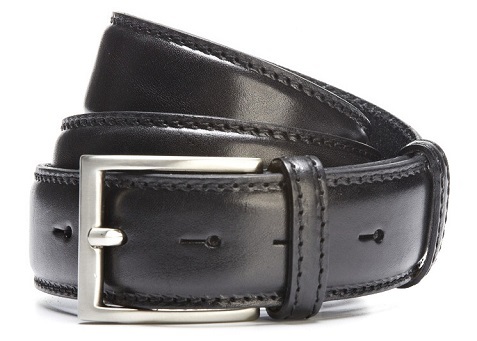 You’ll see from the photo above that this black leather belt featuring a rectangular pin buckle offers a classic and elegant design that’s perfect for every day use. The belt is made in Italy with impeccable craftsmanship, and it offers a great example of the quality and design of this brand. Fashion maven and style expert Syga Thomas launched this ready-to-wear line at MAONO.com, featuring sleek, sophisticated men’s blazers, silk ties, button down shirts and other accessories. Here you’ll find many of the staples you need for your wardrobe that will serve your needs at the office or on a night on the town. They also feature high-quality travel bags as well. Just browse through the clean and well-organized website and you’ll probably find a number of items that catch your eye, and then you’ll notice the reasonable prices. 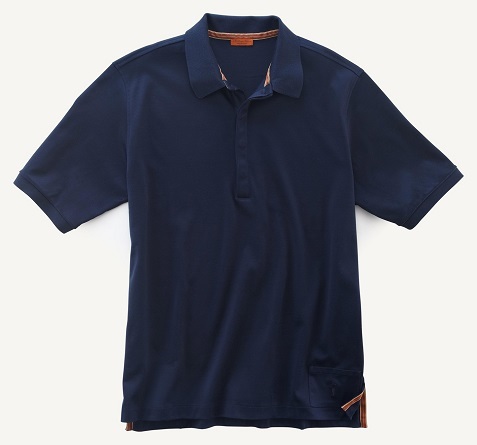 If you’re looking for clothing that’s classic but stylish, and if you want to stay within your budget, then you should definitely check out MAONO.com. We’re big fans of ICON products which are great for hard-core motorcycle riders but also for anyone looking for unique and innovative styles. Any guy can dress up his wardrobe with the jackets and other gear from ICON. With the ICON 1000 Hoodlux Softshell Jacket we have a riding jacket that also has the look and functionality of a hoody, though it’s much more stylish. 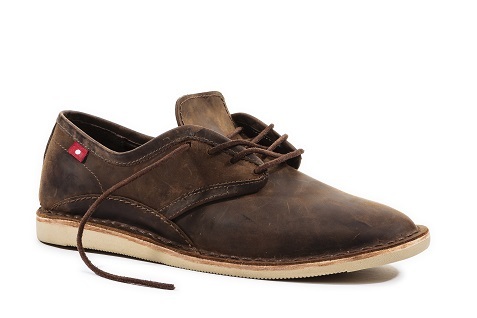 Just by looking at it you can see that most guys would like this item. The Hoodlux features a wind-resistant construction and a modified raglan fit, neatly assembled with stretch-woven 330-gram soft shell fabric. The fabric is bonded to a fleece interior for added warmth and protection from the elements. The jacket’s elbows are reinforced with a washable synthetic overlay. So it’s a great riding jacket but also cool jacket you can wear for everyday use or when you’re heading out. Keep this one in mind as you’re working through your holiday gift list.